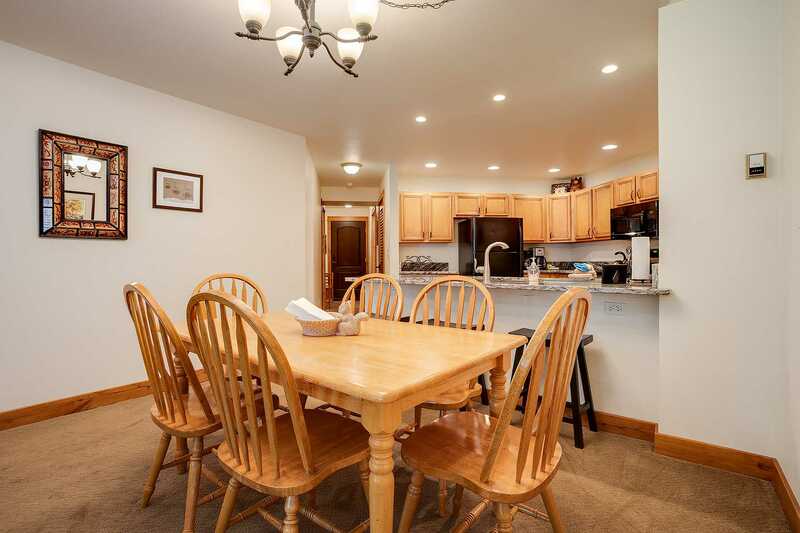 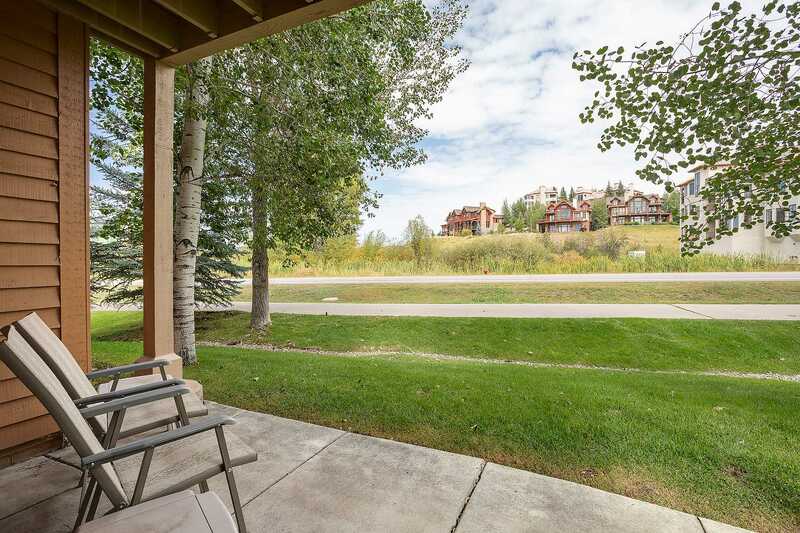 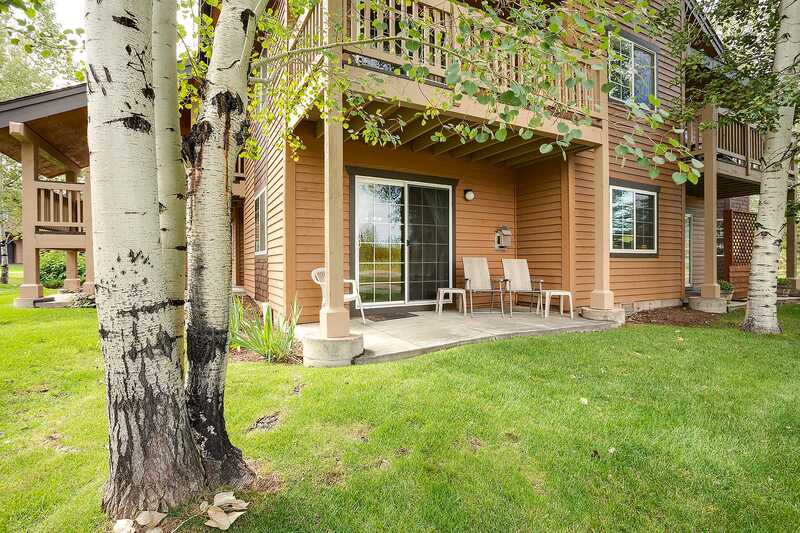 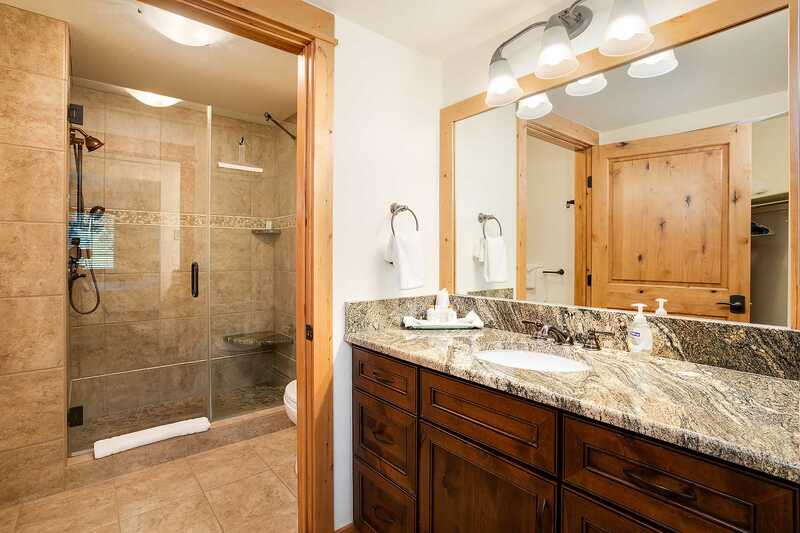 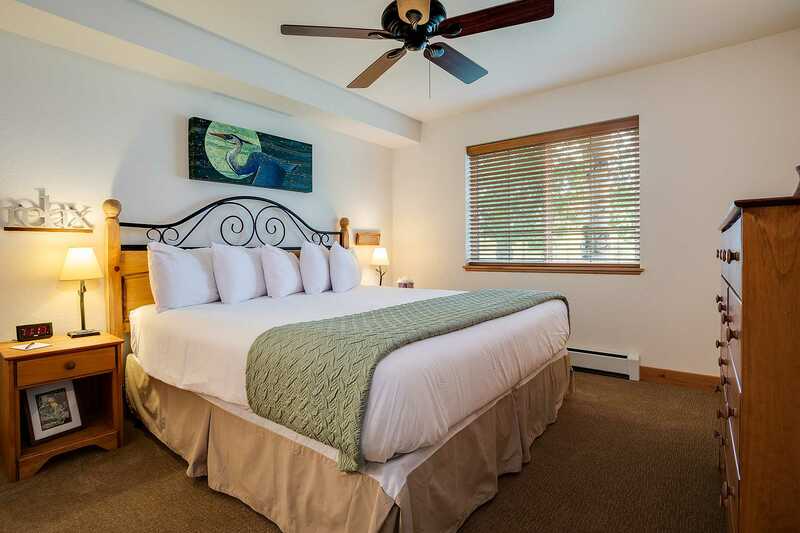 This garden level condominium at the Villas offers everything you need for a get-a-way to Steamboat Springs. 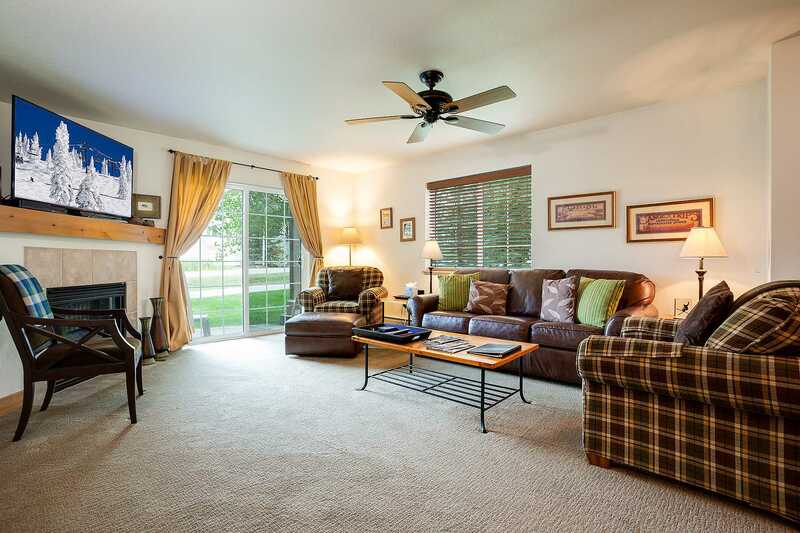 The comfortable living room features a leather queen sized sleeper sofa and two sitting chairs, a large flat screen TV, gas fireplace, and ceiling fan to circulate cool air in the summer and warm air in the winter. 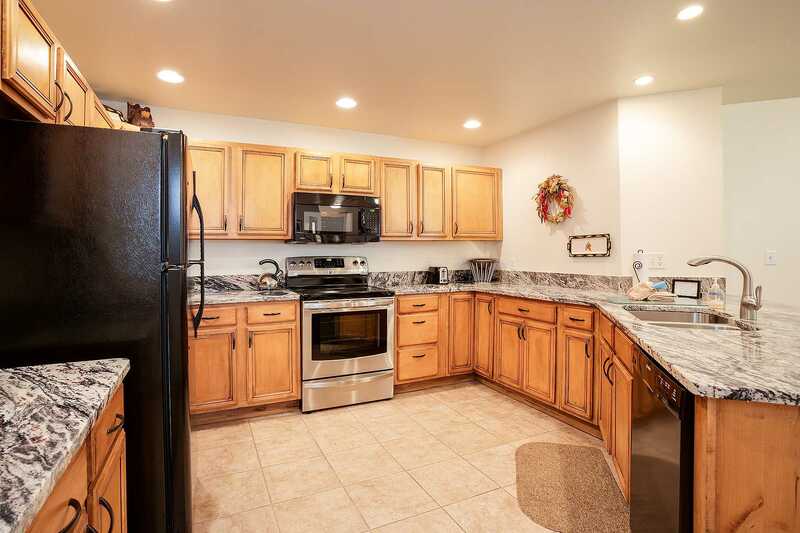 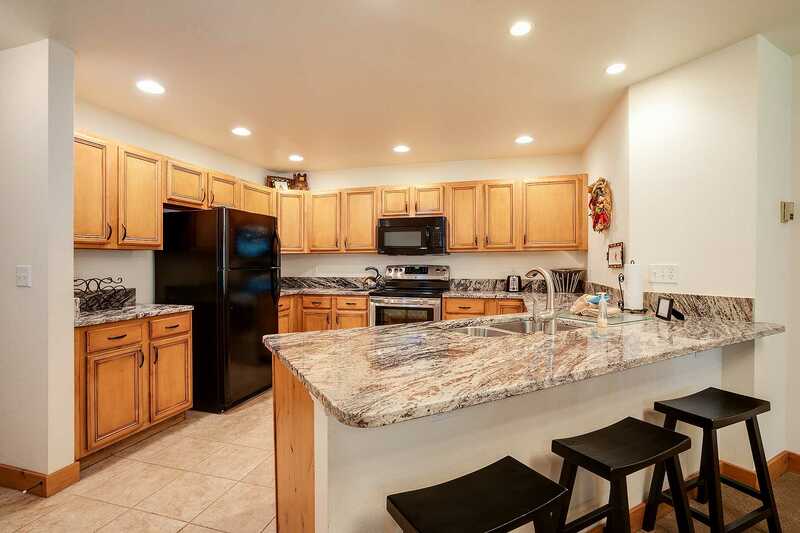 The kitchen has all the appliances and utensils needed to prepare meals. 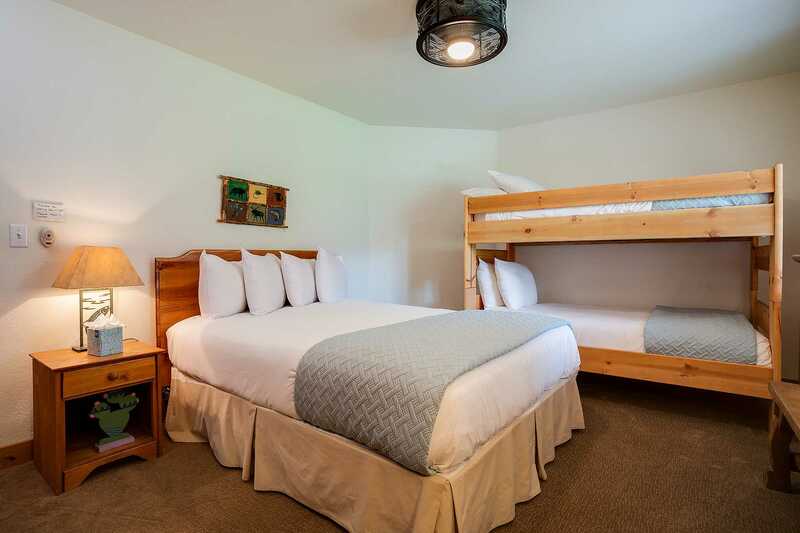 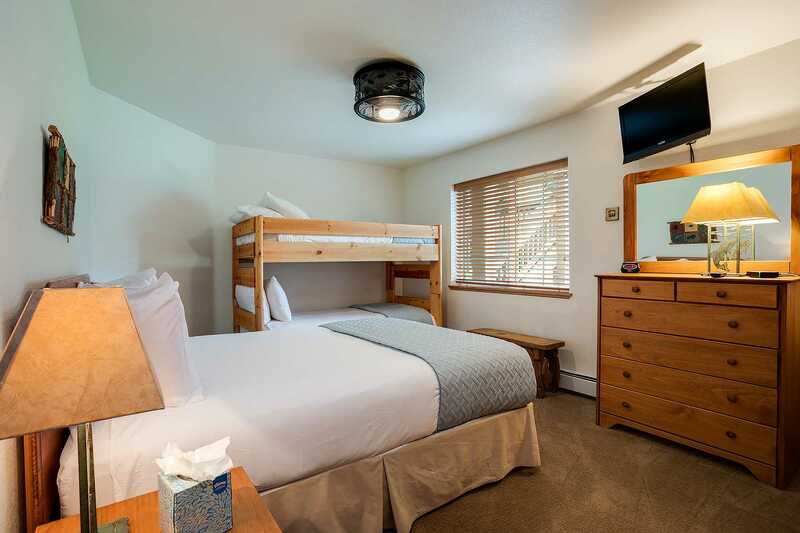 There is a king sized bed in the master bedroom as well as a flat screen TV, and the second bedroom features twin over twin bunk beds in addition to a queen bed. 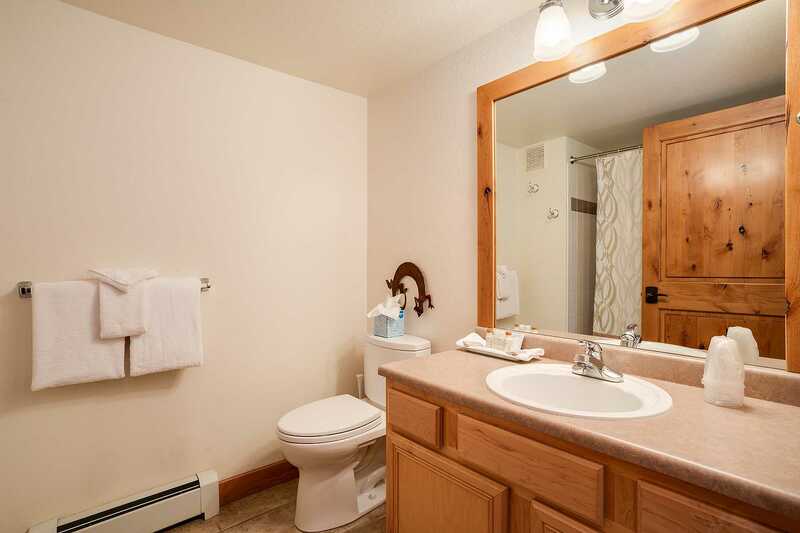 Additional amenities include a private garage and washer/dryer. 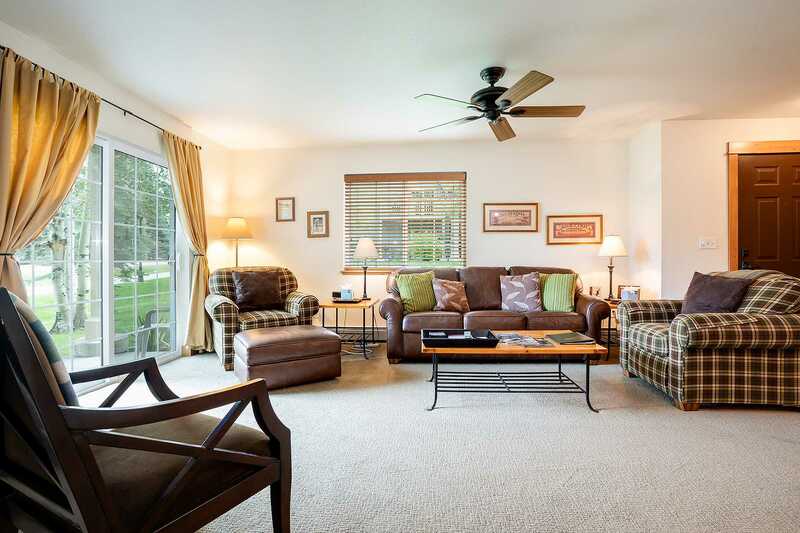 The owner of V1414 is willing to consider a seasonal renter. 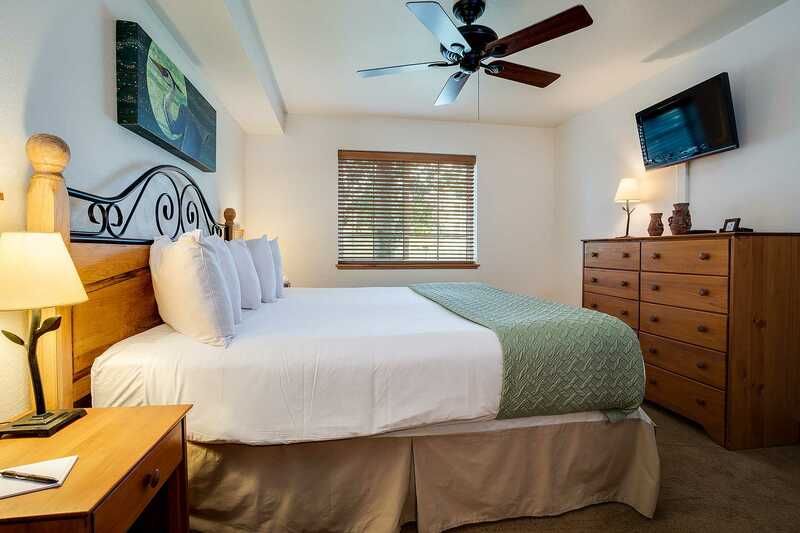 Click to inquire about staying here longer than 30 days. 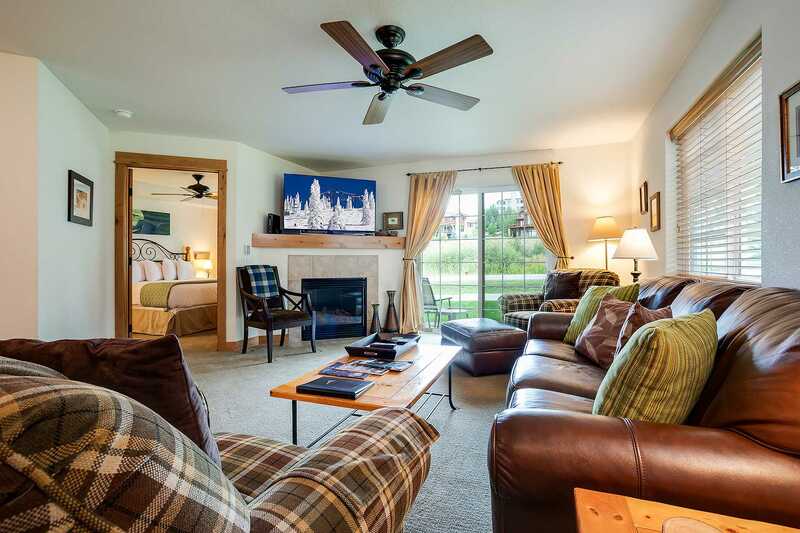 Calculate rates, confirm dates and book V1414 - Villas at Walton Creek online.